6AB rings (inc 2 x SSP Championship & 1 x SSP Premiership). Confirmed judges: Albert Kurkowski (PL), Doreann Nasin (USA), Vicki Nye (USA), Michael Hans Schleissner (DE) and Yanina & Peter Vanwonterghem (B). Show hall is going to be ShowHau Center close to airport. Lots of pet friendly hotels around Helsinki-Vantaa airport and most of them offer free shuttle bus to airport. In the future you can find Cat Fanciers of Finland announcements from CFF’s Facebook page. CFF’s Facebook page can be found here. Our Facebook pages are open for everyone and it does not require you need you to sign in or have an account at Facebook. 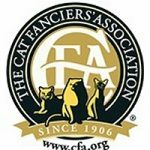 Want to be Cat Fanciers of Finland member?